JD Power and Associates (a global marketing information services firm) released the results of their consumer smartphone survey. 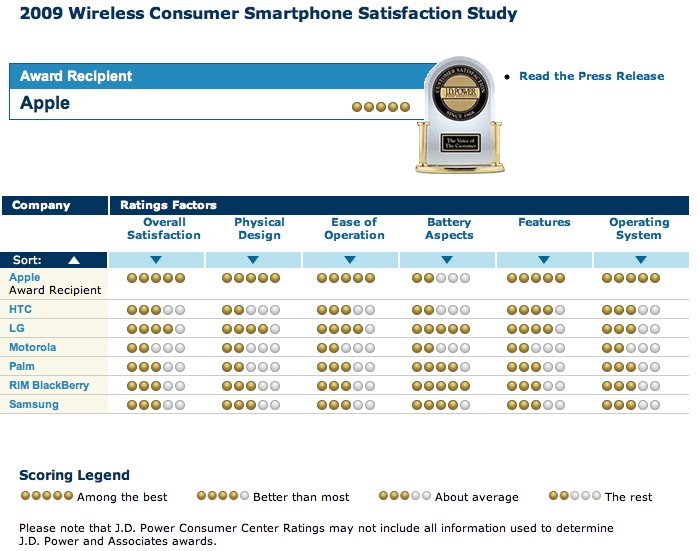 The results show the iPhone winning 5 of 6 categories, losing only in the battery category. The other 5 categories that the iPhone beat the competition in are: Overall Satisfaction, Physical Design, Ease of Operation, Features and Operating System.